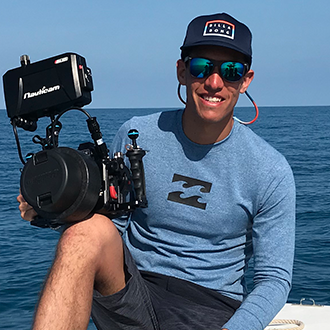 David’s passion for filmmaking started with his passion for the outdoors. Video is a way for him to show people the environment in a way they’ve never seen it before. That is why he decided to become a filmmaker. Most of his time is spent in the natural world, constantly exploring. This has led him to discover incredible places which he’s documented and shared. It’s like he always tells people: “the best set is a natural one.” He simply wants to get people to love and care for the place we call home by showing them vivid images of their backyards.